x86 processor (Linux Mint 64-bit requires a 64-bit processor. 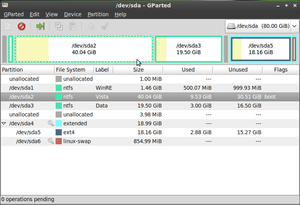 Linux Mint 32-bit works on both 32-bit and 64-bit processors). 512 MB RAM (1GB recommended for a comfortable usage). DVB-T Cards, Memory, USB External Connections etc. Burn the Image to a DVD using a DVD image burning program. Free image burning software. Ensure your PCs Bios is Set to Boot from Your DVD Drive. This is Often the Default. Get familiar using the live DVD until you feel comfortable using it. Click Install Icon on Desktop. Follow the Prompts until everything’s installed. Install any Additional Drivers if available. Menu/Control Panel/Hardware/Additional Drivers Choose Recommended & Activate. This entry was posted on May 31, 2012, in How To Guides, Installation Guide, LinuxMint and tagged 32-bit processor, Bios, CD, Disk image, DVB-T, DVD, Gigabyte, GNOME, GParted, Graphics, Graphics Cards, HDD, Linux, Linux Mint, linuxmint, List of Ubuntu releases, Memory, Operating system, Operating Systems, Partitioning, Personal computer, Random-access memory, Screenshot, Software release life cycle, Ubuntu, USB, USB 2.0.